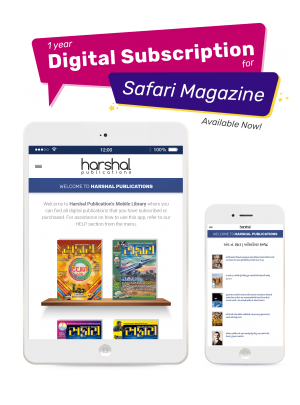 “Safari” Magazine is a monthly that educates and enhances creative thinking in younger generation. 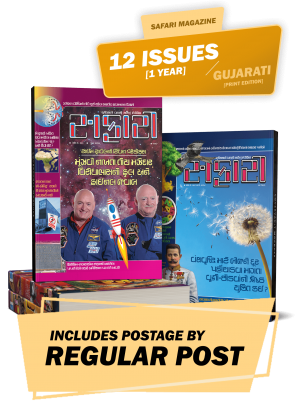 Each issue contains several delightful articles on varied subjects in Science, General Knowledge, History, Nature, etc. Every issue also contains fascinating mind-games, super quiz, etc. Get 12 issues (1 year) of “Safari” Magazine delivered to your doorstep. All shipping done via local courier for fast and guaranteed delivery. Simply choose your location to get started.